Riviera Riches is all about the life of the rich and famous and takes place along the shores of the French Riviera. This Microgaming slot has 5 reels and 15 paylines and features a free spins bonus round and a Roulette bonus. Riviera Riches is affordable for all players. For players who would like to enjoy a risk free game of Riviera Riches, this online slot is available in free play where players get to enjoy the life of the rich without risking any real money. When playing for free it is not necessary to put down a deposit, but players are given demo credits to play with. The setting of Riviera Riches screams rich and famous and the reels are surrounded by an ornate gold frame with a catchy French tune playing in the background. The standard symbols are made up of a distinguished well-dressed gentleman with a pay out of 750 coins for 5. An elegant woman drinking a glass of red wine is the next symbol on the paytable offering a pay out of 500 coins for 5. The luxury hotel casino will pay out 400 coins for 5 and the car is worth 350 coins for 5. The cigar and glass of brandy will pay out 300 coins for 5. When there is a win on the payline only the highest is paid out and all wins will pay out from left to right. The Riviera Riches playing card symbols make up the lower value symbols with pay outs ranging from 100 to 60 coins for 5. The Riviera Riches wild symbol is the Riviera Riches logo and will substitute for all the standard symbols except for the scatter. When the wild symbol is part of a winning combination all of the wins will be doubled. The wild also has a pay out of 1500 coins for 5, 500 coins for 4, 150 coins for 3 and 50 coins for 2. The scatter symbol is the gold coins and wad of cash and offers a pay out of 40 times the total bet for 5, 10 times for 4, 4 times for 3 and 1 times for 2. The scatter will trigger the free spins round and during this round players can win up to 190 000 coins. When 3, 4 or 5 scatters land on the reels the free spins round is activated and players are rewarded with 12 free spins and all of the wins during this round will be multiplied by 3. The scatter will pay out in any direction and this bonus round can be reactivated. The Roulette bonus round is triggered by the scatter symbol. The scatter symbol must land anywhere on reel 1 and 5 to trigger the bonus round. Players can win up to 30 000 coins during this bonus feature and players will receive 2 attempts to spin the roulette wheel. They must pick a number between 1 and 36 and the other selections will be selected automatically. All of the wins from this round are added to the payline wins and players are guaranteed a win of a 4 times multiplier. 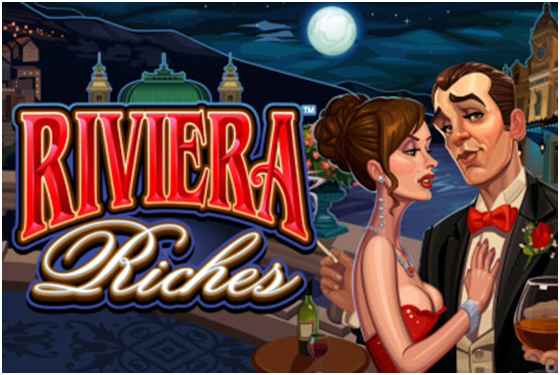 Riviera Riches is a great real slots NZ platform for all players and they have the chance to try their luck at the Roulette table in the hope of increasing their bankroll.